Okay, I’m obviously a little late here with my income reports, but I’ve had a really hard time getting to them given that so much of my focus lately has been on my new book. So I’m SUPER sorry, but hey! Better late than never, right?! Now the first thing I want to tell EVERYONE here is that traffic has gone down SO MUCH. Some days I want to cry a little bit, but I’ve been reading other blogs lately and a lot of them have reported that yes, blog income has gone down. For me, I know it had everything to do with the new Pinterest algorithm. I was getting tons of traffic from Pinterest, and now, everything’s changed. But that’s how it is in this industry, baby! Actually, that’s how it is in EVERY industry, so I’ll just have to work that much harder to figure out how to get traffic back up. Can’t let that knock me down. On the bright side, despite my traffic drop, I’ve still been able to make some good solid money off my blog, so YAY for that! Funny, though, right? The month with the least amount of page views, I made the most money. That’s why I’m a huge proponent of the fact that it’s not all about page views. It’s about the amount of time and effort you’re spending on your blog. It’s about the time and effort you’re spending looking for opportunities and reaching out to companies. So don’t let your page views discourage you. Don’t let people tell you that you need 100k+ page views to make money as a blogger. Just look at my numbers! So that’s all for now! I’ll be posting April’s income report hopefully next week, and then I’ll be all caught up! PS. If you’re interested in working with me one-on-one for blog coaching calls, reach out to me here and let me know. At $25 an hour, we’ll take a look at your blog and see what we can work on to take your blog to the next level. I’m also working on an blogging e-course that I’ll be putting together after the book launch, so if you want to be the first to hear about it, sign up here and get on my e-mail list. 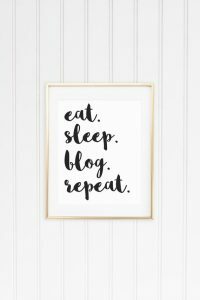 I’m also giving away these free blogging printables, so click on the picture below for those. 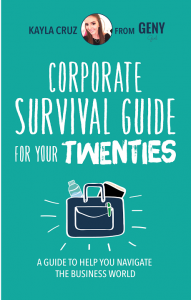 Know anyone who could use some career advice? START YOUR OWN BLOG TODAY WITH BLUEHOST! Girl, I am so happy I came across your blog today! There are so many interesting articles, and so many things I didn’t know about. I am bookmarking it, and I will probably message you sometime soon about blogging advice:) Thanks so much for sharing and have a great week ahead! So inspiring to me as I try to make more from my blog. So interesting that you made more when page views went down..
oh girl. I feel you with that damn Pinterest algorithm. I was getting my all time high of 130,000 page views a month in January and then February I dropped nearly 50% . Pinning to group boards is almost useless now. Well, not entirely, but you get my gist. Like you said, that’s the market now., and I think companies understand the hit. I’ve still been making the same income so I guess it doesn’t matter? It is totally all about the hustle! I’ve had a small upward trend in page views but my engagement on my posts is HUGE and so I’ve been seeing quite the increase in associates sales which is encouraging. Thanks for sharing! I love that I’m not the only one not having a great time with Linqia or Share-a-Sale lately. It’s great to see other bloggers making money in different ways. I love reading income reports, and it seems like you’ve really rocked it these months! Wow this is motivational for a new blogger like myself. I am not starting affiliate marketing hope I have some luck! You had an awesome 3 months. So awesome, keep it up! It’s crazy to me how hit or miss the network sites are with sponsored posts. Hoping more of those will come our way! It’s really helpful to get a peek behind the blogging scenes. Thanks! 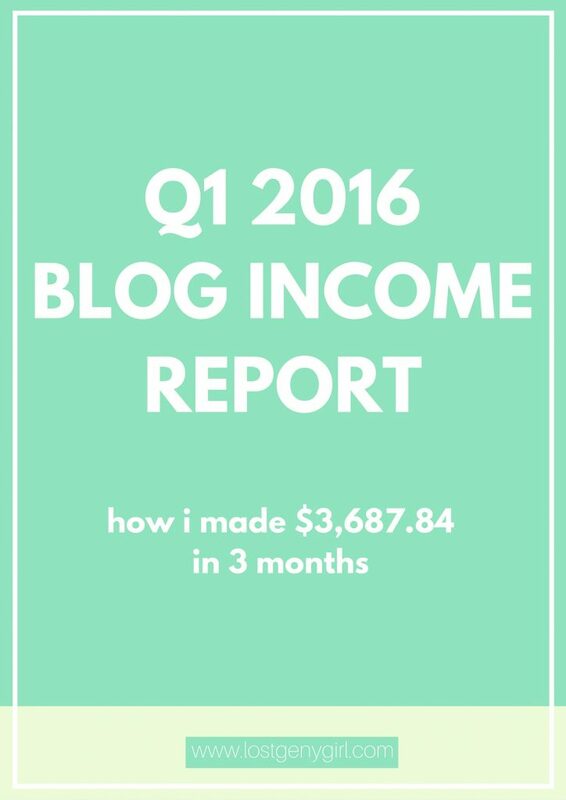 Always reassuring to see bloggers making real income without ginormous pageview numbers! My traffic has been dropping lately too but I have made more money than ever as well. Its funny how that works! I love this! Reading income reports is one of my favorite things to do! I love documenting it – I haven’t shared any and I’m on the fence about doing so, but it is oh so inspirational! Congrats on your hard work, keep it up girlie! AH! You use so many terms that I just don’t quite understand as a new blogger. What blogging books do you recommend for a newbie wanting to make a profit on writing?